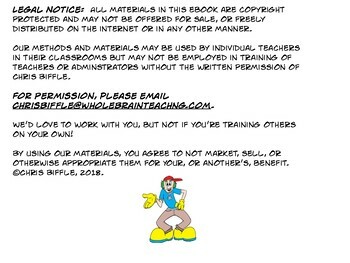 Got Beloved Rascals? 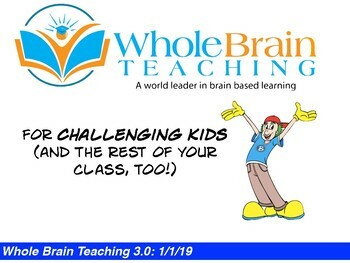 With joy filled classrooms in 150 countries, 90,000 Facebook likes and 8,000, 000 YouTube views, Whole Brain Teaching (WBT) is one of the world's most popular instructional systems. 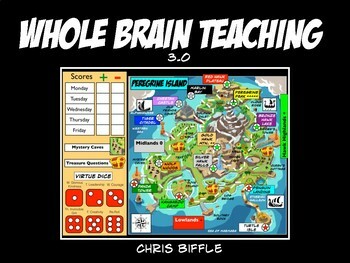 The product of 1,000 hours of graphic design, WBT 3.0 features seven, easy to implement steps: 1: Celebrate Super Improvers, 2: Nourish Character Education, 3: Master Whole Brain Teaching Basics, 4: Gamify Classroom Rules, 5: Play Scoreboard, 6: Reform Beloved Rascals, 7: Activate PowerUps.